Sudbury’s John Sexton, right, in action for the Notre Dame men’s lacrosse team, which he helped lead to an Atlantic Coast Conference title. 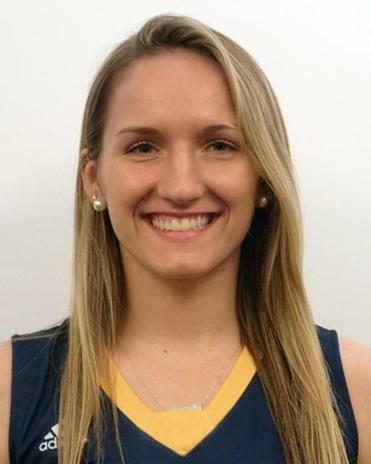 The junior midfielder finished the season with 14 goals and four assists for Simmons women’s lacrosse while being named to the Great Northeast Athletic Conference all-sportsmanship team. 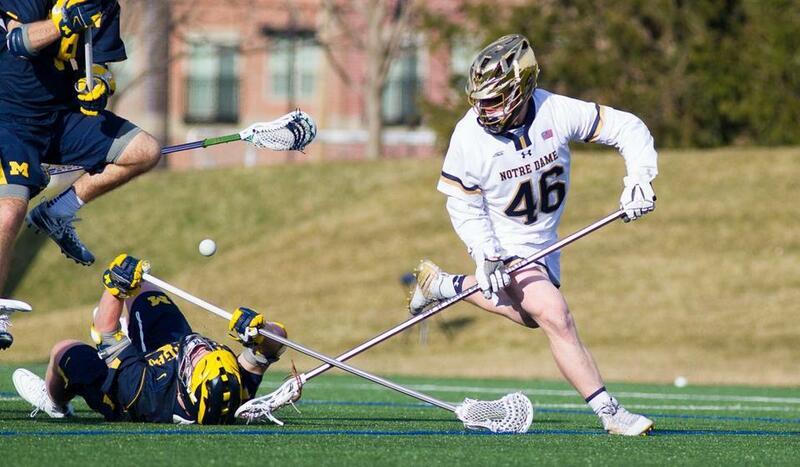 After leading the Notre Dame men’s lacrosse team to an Atlantic Coast Conference title, the senior long-stick midfielder was named defensive player of the year. He is one of 25 finalists for the Tewaaraton Award, which recognizes the top male and female college lacrosse players in the nation. 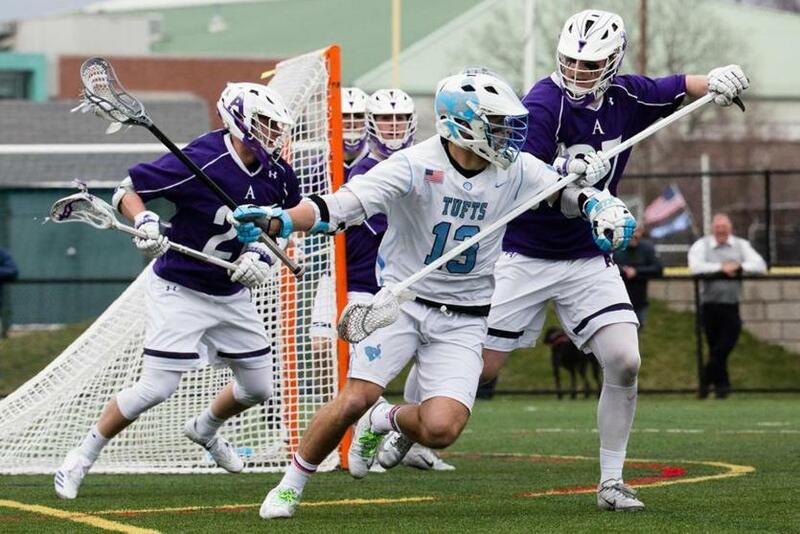 The sophomore attack netted two goals in a 20-12 win over Amherst May 5 and handed out two assists in a 12-9 win over Wesleyan May 6 to help Tufts men’s lacrosse (16-1) win a NESCAC championship. Medfield’s Matt Treiber played a big role for the 16-1 Tufts men’s lacrosse team.